Green beans contain iron. Iron helps deliver oxygen to the body, which in turn, provides more energy to the individual. Green beans are a good source of vitamin K, which protects the body from abnormal bleeding, such as nosebleeds. Did you know that green beans are one of the few beans picked fresh? Green beans are immature relatives of their cousins (black beans, kidney beans and pinto beans). 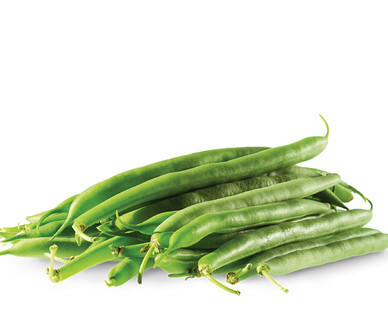 The fiber and vitamin C in green beans will help your body from going blue. Green beans are a low calorie vegetable that’s fat, sodium and cholesterol free. Make sure to get fresh, well-colored beans that snap easily when bent.